Will Rawls grew up in Dorchester. When he was 10 years old, news about the death of 11-year-old Darlene Tiffany Moore echoed through his neighborhood. Darlene was struck by stray bullets during an altercation between drug dealers. It was around that time Rawls says he realized the precariousness of black lives. 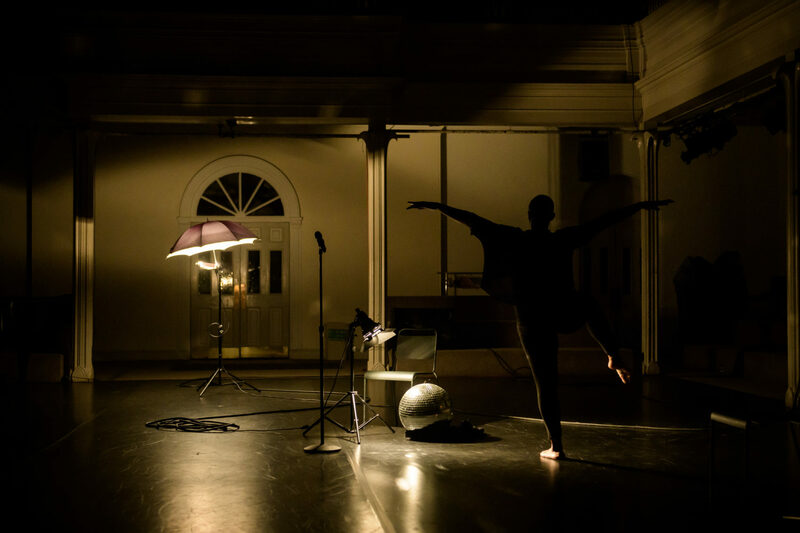 Now a New York City-based choreographer and director, Rawls is returning to his hometown to present “What Remains” at the Institute of Contemporary Art in Boston. 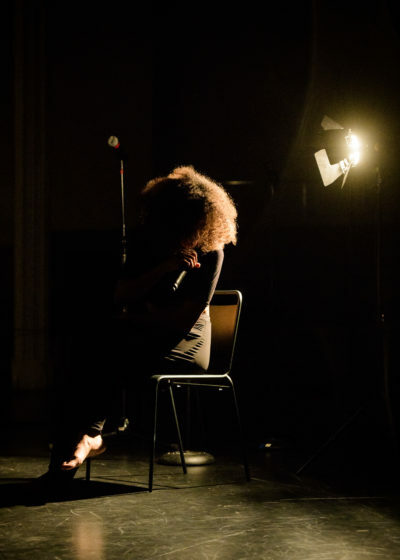 The theater piece, in collaboration with poet Claudia Rankine, explores the constant social, cultural and physical surveillance of people of color. Through movement, language, voice and soundscape, “What Remains” addresses questions of presence. 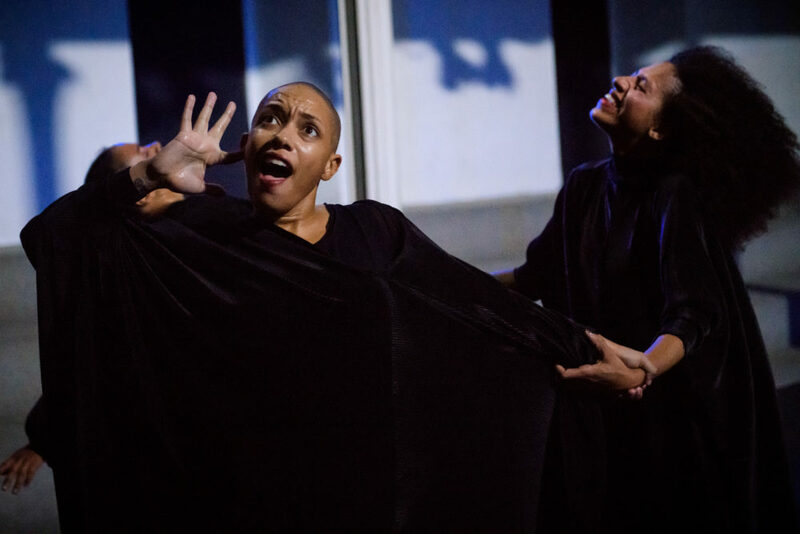 Four performers — Jeremy Toussaint-Baptiste, Leslie Cuyjet, Jessica Pretty and Tara Aisha Willis — haunt the space in long black cloaks. They mold and bend their bodies and voices to explore the ever-present threat on the lives of black people. For Rawls, it’s important to bring the performance to the city he was raised in — one that has a long and fraught history of racial trauma. 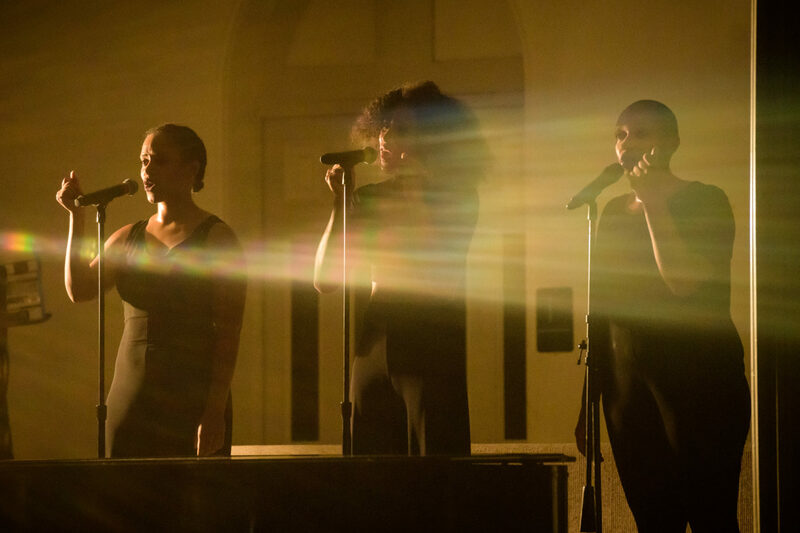 He and Rankine first collaborated on “What Remains” in 2017 for the Live Arts Bard Festival in New York City. The festival centered on the theme of surveillance. Black people often have to code, edit and censor their behavior to survive in a dangerous and oppressive society. So, Rawls and Rankine with filmmaker John Lucas examined what it means for black people to be robbed of the freedom to “just be.” When it is impossible to live authentically, “there is a kind of void that opens up” — perhaps a void in connection, spirit or assurance. They asked themselves: What does this void feel, look and sound like in a performative setting? These questions are then explored in the bodies and voices of the performers with language as “the bridge” between the two. Rawls defines typical theater as a “space of looking and watching, and when you walk on stage as a performer, you are inviting yourself to be looked at. Performers expect to clearly deliver some kind of meaning.” But, “What Remains” shatters this expectation and relieves the performers of the responsibility to communicate a clear lesson. It poses a different set of opportunities and responsibilities for both the audience and the performers. The structure of the piece is “elastic,” Rawls says. It functions with a deliberate improvisational model that allows for the performers to behave freely in real time. They respond to being watched by the audience, each other and themselves. At one moment, they press their bodies up against the brick wall in what looks like an effort to disappear completely. Rawls emphasizes that the performers are “material in the show: who they are, not just as bodies, but as people.” When he sees this piece, he recognizes the humor, hard work and maneuvers on stage present in the lives of black people around him every day. The audience’s gaze becomes a poignant element in the activation of each unique performance. Similar to the experience of the performers, the audience has no narrative or theatrical device to hide behind. This sense of transparency may conjure an inescapable feeling of being watched, a daily experience for people of color, existing in a world where purchasing a bag of Skittles can cost you your life. Rawls admits this hyper-present sense of being surveilled can make “your imagination feel like its wings are clipped.” This image is manifested in the use of a barren stage and stark lighting fixtures upon tripods. “What Remains” challenges the dramatic convention of preset lighting cues by allowing the performers to control the lights themselves and explore the ability to illuminate the space as they wish. Rawls mentions that the manipulation of lightness and darkness was inspired by the “uncanny” and “visual murkiness” present in cinema such as film noir or classic horror. Boston is the last stop on the five-city tour of “What Remains.” But, “the piece is alive. It breathes.” It grapples with questions that we will continue to ponder. The show “has to be re-approached every time the performers do it,” says Rawls, as he considers the piece’s vitality. It will continue to take new shapes as the world around us shifts every day. "What Remains" will be performed at the Institute of Contemporary Art in Boston on Friday, April 12 at 8 p.m. and on Saturday, April 13 at 4 p.m. as well as at 8 p.m.